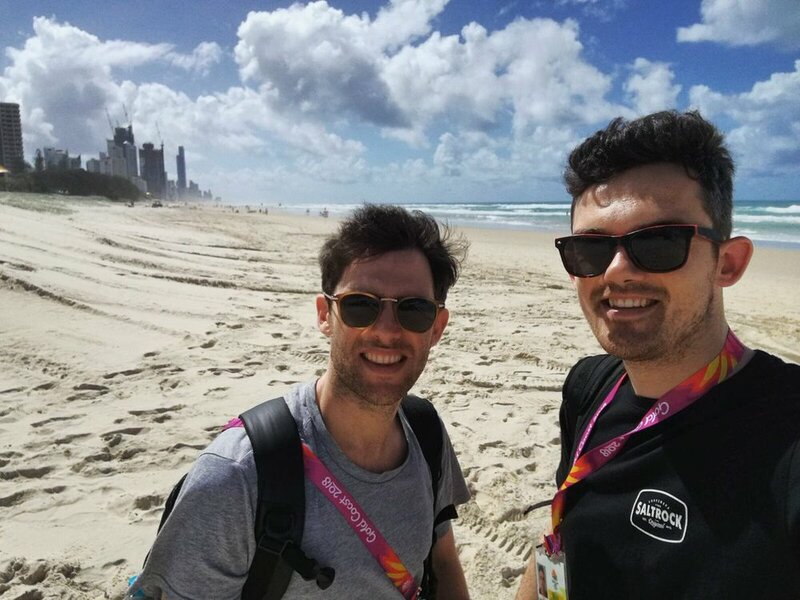 Our media producers Tom Ellis and Liam Flint have arrived on the Gold Coast, Australia, ready to report on the 2018 Commonwealth Games. From 4-15 April, over 6,600 athletes and team officials from 70 nations and territories will gather for 11 days of world class sporting action across 18 sports. "With temperatures pushing 30 degrees and 70km of coastline, the Gold Coast makes for a warm welcome following the recent 'Beast from the East’ snow storm we experienced in Britain. We spent our first day in Queensland testing out the newly installed tramline, top-notch media facilities, and yes we did make it down onto the beach, just for a little look! On our first evening we drove an hour or so up the road to the Gabba in Brisbane for a real taste of Oz – an AFL game between Brisbane Lions and Melbourne Demons. No mention of ball tampering this time around though.